iPad 3 might get the Retina Display (2048 X 1536)? Samsung is going to demonstrate the industry first 2560 X 1600 10.1-inch LCD next week at the Society for Information Display(SID) Display Week 2011 International Symposium. Now only we understand why iPad 2 does not have the Retina display as the high resolution display technology is not readily available yet. Samsung has announced that this high resolution display technology will be available for the tablets later this year. The screen comes with a screen density of 300dpi. iPad 2 certainly need to upgrade its display quality since most of its competitors are offering resolutions higher than iPad 2. Personally I feel that a higher display resolution in iPad is a must since most of us are used to Retina display in iPhone 4 and Full HD videos. I find that viewing photos and videos in iPad 2 are not so clear and sharp. So, will you wait for iPad 3 to come before you purchase your first tablet? 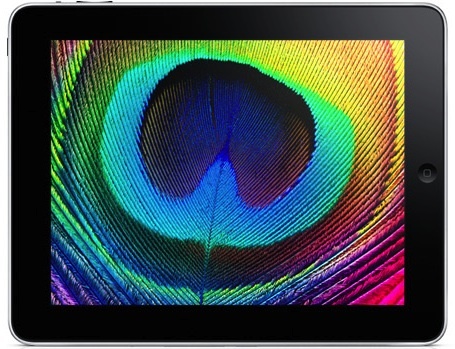 Or will Samsung Galaxy Tab 10.1-inch tablet might get the Retina display first? March 7 2012 Apple Event: iPad 3 or iPad HD or iPad 2S? Next story iPhone 5G/iPhone 4S rumored phone design? Previous story No iPhone 5 but iPhone 4S for 2011?